This is the smallest water feature of this particular family of fountains, for a complete list of the rest of the fountains see link above. 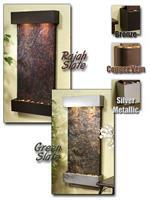 You have the choice of metal hoods with a decorative Bronze, Metallic Silver and Copper Vein. The fountain comes with a 6' long power cord, as well as a hidden switch that allows you to control the fountain without touching the cord. 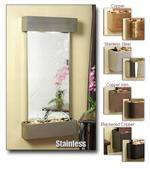 This product contains a natural metal hood and basin which will vary in appearance and color. For information on installation of this fountain, you may visit www.22inchfalls.info. This video guide explains the installation process for the Whispering Creek, but the installation process is very similar for this fountain. There will be both written instructions, and an installation DVD included in your order. 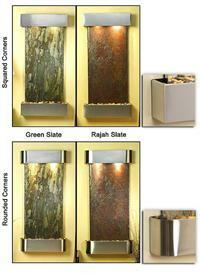 We manufacture the highest quality water features available. 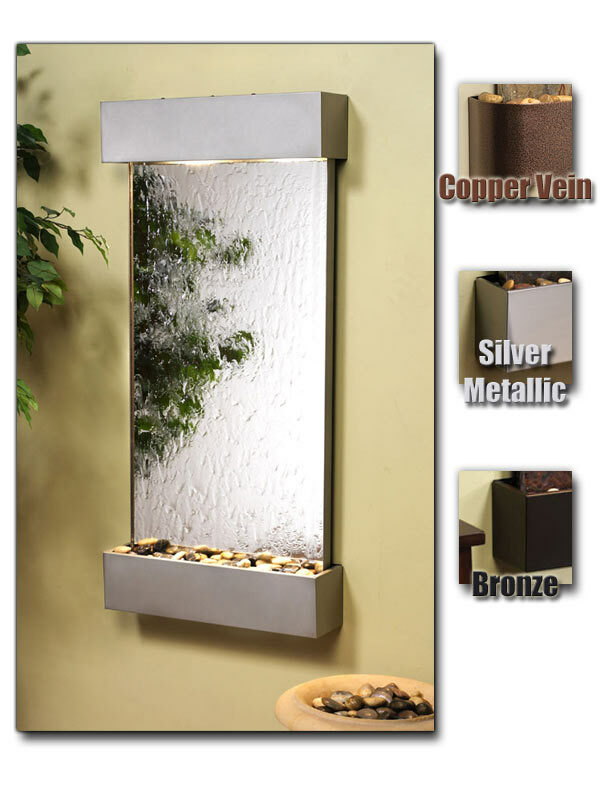 Our water features will bring the beauty and tranquility of nature's sights and sounds into your home or office. Because of their bold presence, the products will be the focal point in any setting. We are also committed to providing the worlds finest, most unique, and best looking water features offered. We are determined to provide the best possible customer service to both our retailers and their customers. The pump is included with the purchase of this waterfall. All of our products in the Fountains and Waterfalls are FREE SHIPPING (within continental USA only - surcharge will apply to AK/HI/PR). This fountain will be shipping out using a standard ground carrier.